Massage a few drops into a dry beard to keep it growing thick, soft and clean. Prevents blemishes and softens rough hair. Nothing more, nothing less. Smells distinctly manly. Grapeseed Oil (unlike olive) mimics your skin's natural moisturizers, absorbs quickly, strengthens hair and leaves your beard with a subtle shine and soft feel. 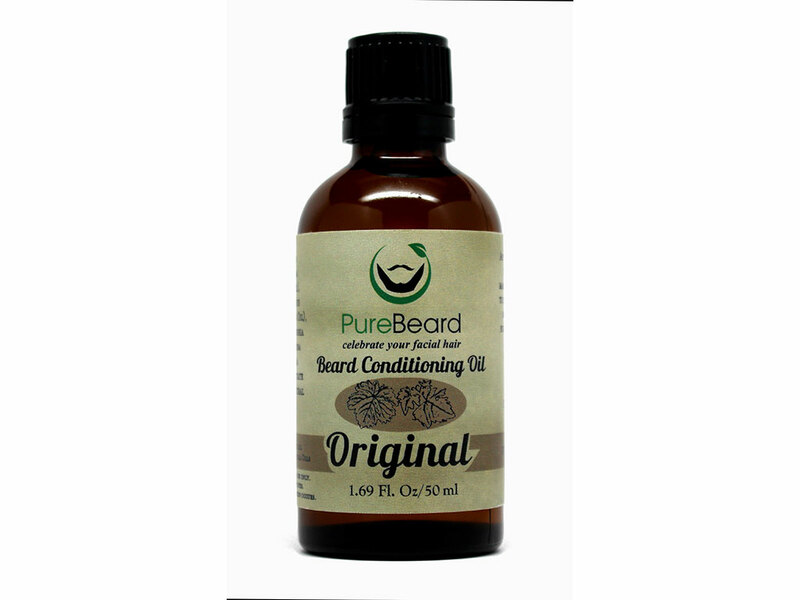 * When used sparingly, this oil will keep your skin and beard feeling smooth and non-greasy. This product is not at all like a conditioner you would use on your hair. It is an all natural oil-based beard softener that is meant to be left in the beard. Our original therapeutic grade essential oil blend (often imitated, never replicated) conditions hair at a cellular level and acts as an aromatherapy aid with a very slight scent. Not to mention, this blend contains just enough lavender. You probably wont notice it, but your other half will! Grapeseed oil, Vitamin E, Essential Oils of Rosemary, Lavender, Cedar and Lime. Beard Conditioner comes in a Amber Glass Euro Dropper bottle with reducer. Wild Rose is a highly scrutinized collection of herbal alchemist and aromatherapist where you will never see a synthetic or harmful ingredient inshallah (God willing). We encourage label-reading and questions. All oils and salves feature high quality, skin-loving ingredients that absorb quickly with a soft, non-greasy feel. Many formulas feature Rose Hip Seed Oil, arguably the most precious skin regenerative oil provided by nature (and it's the inspiration behind Wild Rose). Rose Hip Seed Oil is invaluable for the health of all skin types. The male counterpart to Wild Rose, Wild Man has made quite an impression on the modern, body-conscious man and his mate! All Wild Man products contain the same high-quality ingredients as Wild Rose, but with unique and manly essential oil blends (often imitated, never replicated). Wild Man has quickly become a necessity for a growing number of men worldwide. All formulas contain therapeutic-grade steam distilled essential oils. Each scent has been carefully crafted so that you may enjoy the emotional and psychological benefits of aromatherapy during use. Wild Rose Herbs is fortunate to live in an ideal herb-growing environment, as well as having an extensive local network of earth-conscious distributors. All herbs are either organically grown (many in Wild Rose's own garden) or ethically wildcrafted (many collected in our bioregion). When a material canot be sourced by Wild Rose, they strive to support local distributors who share their values of quality and sustainability. If you have any questions regarding the source of a particular ingredient, feel free to ask!